Culture Smart! Norway steers you through social and professional encounters, enabling visitors to establish real friendships and business partnerships. Tips on meeting and communicating make socializing a pleasant experience, and chapters on customs give a glimpse inside a Norwegian home. The book also describes how the Norwegian commercial world operates—vital information for anyone doing business with one of the world’s wealthiest nations. The need to survive on a difficult, isolated terrain and in harsh climates forged a people who are hardworking and self-sufficient. On first meeting, the Norwegians are serious, polite, law-abiding, and hardy. They are also very private, and getting to know them takes time. But when visitors are able to see behind that façade they will meet the friendly, fun-loving, family-oriented people hiding on the other side. I’ve never been to Norway and for the purpose of this review, I haven’t checked on the internet or with someone that I know that lives in Norway as to whether the information is all correct as I think that would hinder my review. 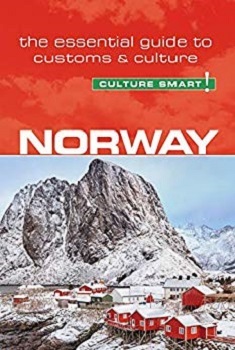 I am solely basing my review about Norway on the information inside this Culture Smart! book. Having read the book from cover to cover I’ve learned a few things about what the authors, Linda March – A Scottish ex-headteacher who lived in Stavanger area of Norway for six years and Margo Meyer – An American researcher who lives and works in Asker, Oslo Region of Norway think about the country, it’s traditions and culture. At the beginning of the book we are taken through a history of Norway and also about it’s size, 150,000 sq miles, that it is Europe’s sixth largest country and that there are approximately 5.29 million people living there, though most are in the big cities so there are vast areas where hardly anyone lives. We are informed about its climate, the seasons and even about the Northern Lights and the best time to see them and where in the country is the best spotting place. Once we have moved on from the key information we then get to dig a little deeper and find out about the people and their cultures. From reading you get the sense that the Norwegians are a nation that doesn’t take to newcomers very easily and that what us Brits might take as chitchat to our neighbours would be seen as being rude or nosy to Norwegians. That is until they get to know you and then they become loving and friendly, they just take a bit of time to warm to people. There were a few things that surprised me about the country including the fact that the Norwegian government actually pay parents to stay home with their toddlers. If you don’t send your child to Kindergarten they will pay you to stay home with your child. Not surprising that they are classed one of the fairest countries who like to help one another out. Another fact I learned was that rarely people dress up for work. You can be served in a bank by a cashier wearing jeans and a t-shirt or even seen at the local hospital by a doctor wearing casual clothing and a pair of clogs. People dress according to the weather, not their job. There is also rarely over-time available and if you finish at 4pm, you finish at 4pm, no finishing what you are doing, you down tools at 4pm and go home whether you are in a meeting, or on a call, the finish time is just that – Certainly not like that in the UK! Overall I have learned a lot about the culture and the people of Norway. It is a place that I would love to visit one day, though I’m not sure how well I would do living there as I don’t like the cold weather in the UK and I hate the snow! The book is pocket sized so great for taking with you on your travels and with it being split into easy to read sections you can stop and start at any time and look back over sections you may need. 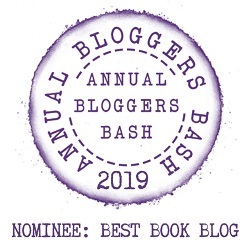 My one little niggle was why wasn’t the book written by a Norwegian?, but then I did wonder whether that would make the book biased or whether not having a Norwegian on the team may be an oversight? Whatever the reason the book was enjoyable, educational and I fully enjoyed my armchair trip to Norway. More and more travelers are discovering the delights of Nicaragua—a land of lakes and volcanoes. The image has persisted of a country racked by revolution and war, but the reality awaiting travelers couldn’t be more different. The largest country in Central America, Nicaragua is also one of the most diverse and least explored, with a chain of puffing volcanoes along the Pacific coast, two huge freshwater lakes, important rain forest reserves on the tropical Mosquito Coast, and tiny, picture-postcard Caribbean islands where English Creole is the lingua franca. Travelers’ budgets will stretch further here than in other Latin American destinations, and around every corner, there are cobblestone streets, high-altitude coffee plantations, world-class bird-watching, perfect surf, and Flor de Caña, the smoothest rum that ever came out of an oak barrel. Culture Smart! Nicaragua offers readers an insider’s view of the country and its people. It explores Nicaragua’s national traditions, turbulent history, tasty local dishes, fun fiestas, and unique cultural expressions. It arms readers with key phrases in Nica-speak, or Nicañol, so you can break the ice, and provides insights into what the people of Nicaragua are like at home, at play, and in business. I’ve never been to Nicaragua and for the purpose of this review, I haven’t checked on the internet and I don’t know anyone who lives there to verify as to whether the information is correct as I think that would hinder my review. I am solely basing my review about Nicaragua on the information inside this Culture Smart! book. From author Russell Maddicks who is a BBC trained journalist and has spent twenty years researching and exploring Latin America comes a book all about Nicaragua. I was asked if I would like to review two books on countries from around the world and I chose this one as I actually know nothing, except its location, about the place and wanted to learn as I crave knowledge. We travel on our armchair journey we learn all about the how Nicaragua is the second poorest country in the western hemisphere and with a population of approximately 6.08 million people living over 50,36 sq miles, it is also the largest country in Central America. The country is basically split into two areas by hills and forests. On the right, Atlantic Ocean side, you have Spanish-Speaking Mestizos and on the left, Pacific Ocean side, you have the Creole-Speaking Afro-Caribbeans and the indigenous Miskito People. Throughout history, Nicaragua has been ravaged by war but the last few years have seen a calm across the country and it is now deemed as one of the safest countries in Americas, as well as a place where the locals are very welcoming and friendly. The landscape is filled with volcanoes, beaches, and lakes as well as hill and forests which are part of the countries numerous national parks. The book takes you on a journey through the history of the island and its many wars and political unrest, to today’s Nicaragua, a much nicer place to live and visit. Unlike Norway where people go home on the dot when their shift ends. Nicaragua’s live by the ‘Rise with the sun, sleep when it sets rule’ and work to their own pace, not surprising given the climate and the heat they have to work in. I’ve learned that the Nicas (what the Nicaraguans are called) are a nation that likes to socialise. They like their alcohol, especially rum and cocktails and that unlike other Latin American countries, their preferred sport is baseball, not soccer (football). They have humid weather most of the year, even when the tropical rain arrives. Throughout this pocket-sized book, you will get to learn so much and marvel at the glorious photographs that are on most of the pages. This is a book that you can take on your travels and flick through as and when you need to. It is exceptionally interesting and I didn’t want to put it down once I had started. The only thing missing was a look at the place through the eyes of someone who lives there. Hopefully, one day I will get to visit the place for myself. I’m loving your reviews. They are both brilliant. Great looking books. Thank you. I enjoyed them both and learned a lot. These sound like a great source of information for people looking to educate themselves before visiting or doing business with these countries. Wow, some of those things (paying to stay at home with children, casual clothes, no overtime) sound amazing. Now, I want to go and visit Norway! The country sounds delightful I just couldn’t cope with the weather. Makes me want to book my next vacation! I’d love to visit Norway at some point in my life. Thanks for the review. These books sound great! Seems like you can really learn a lot about a country from them. You really can, they are more than just a travel book. My bestie is headed to Norway with her boyfriend this May. I’ll have to let her know about the first book! Great, would be very useful for her. Now I really want to go to Norway. I know it sounds like an amazing country. I love these travel books so much. I am glad you enjoyed it as well. Thanks there were enjoyable to read. I have always wanted to travel to Norway!